Ernestine Deane is an urban African voice sharing ancient African stories. Well-loved as the vocalist of iconic SA hip hop band Moodphase5ive and respected as a solo artist she has a career spanning more than two decades. 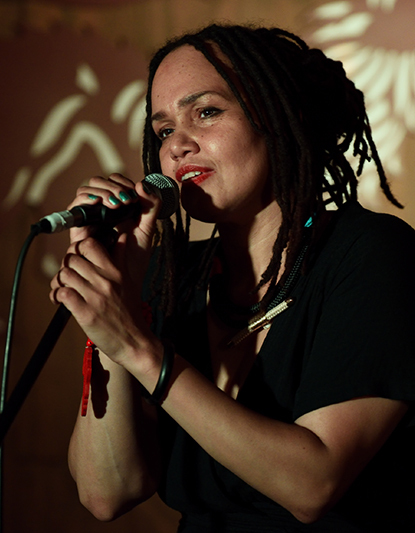 Her music brings a message of love, healing and celebration of the African continent, weaving together a tapestry of jazz, reggae, ghoema, funk and soul.